Today I am posting as a member of The Scrapbook Queen's Royal Challenge Design Team. We are hosting a monthly challenge. This challenge goes live on the 30th of each month. Come check out my inspiration on the 30th then head to The Scrapbooking Queen Royal Challenge to obtain a printable for our chance at a second entry to our challenge. You can also see all the amazing projects by the other design team members. You will be inspired by these talented designers! 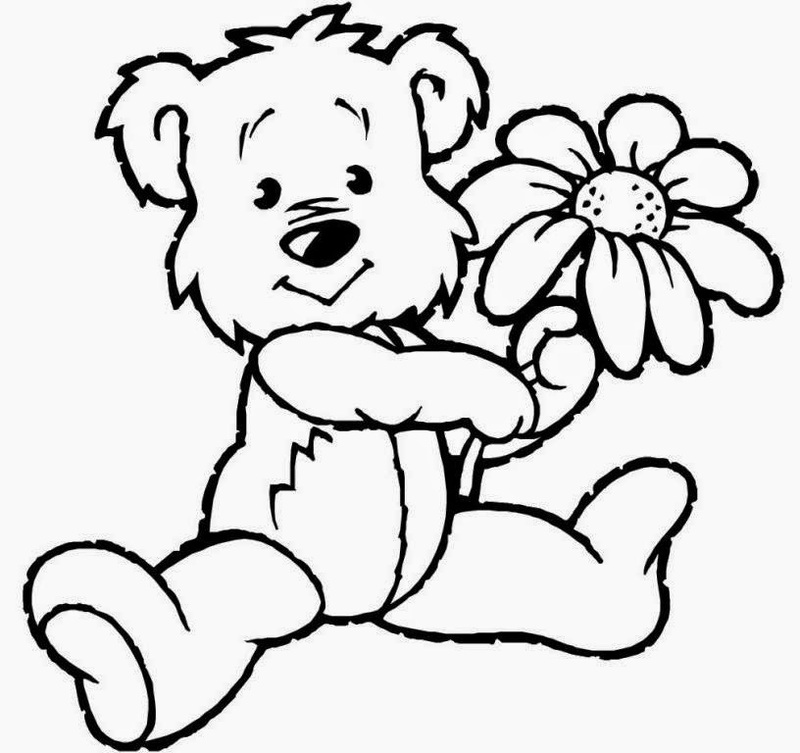 This month's image is this sweet little bear holding a flower. I knew when I saw this that I was going to make a card to send to a special little girl who is battling cancer. The image was colored in Photoshop and ready to use on my card. 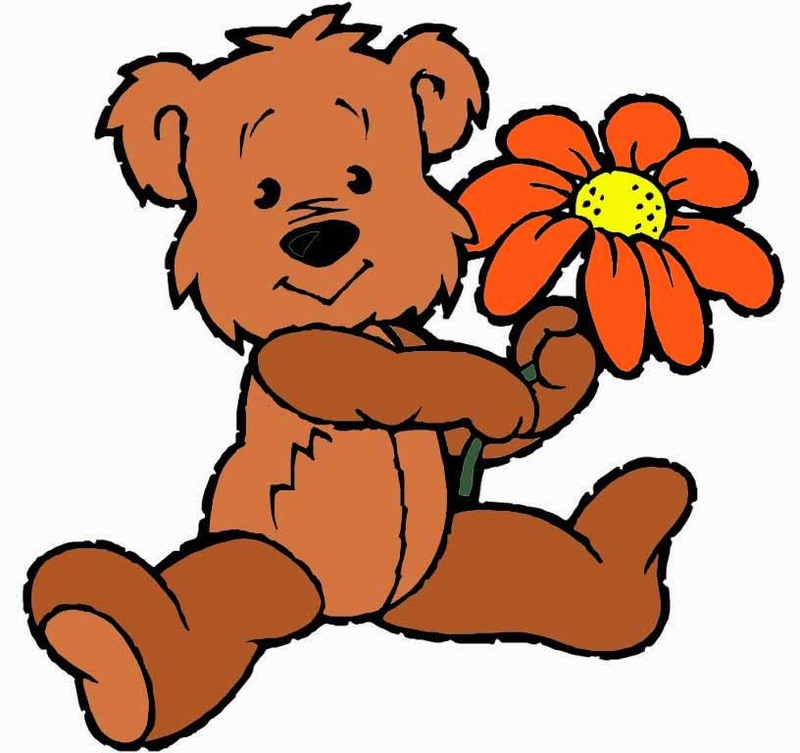 You can see here that the little bear and flower image has been colored in Photoshop. To give the bear a bit of pop and depth, two different shades of brown were used. She is now ready to be added to my project. "You are Beary Special." 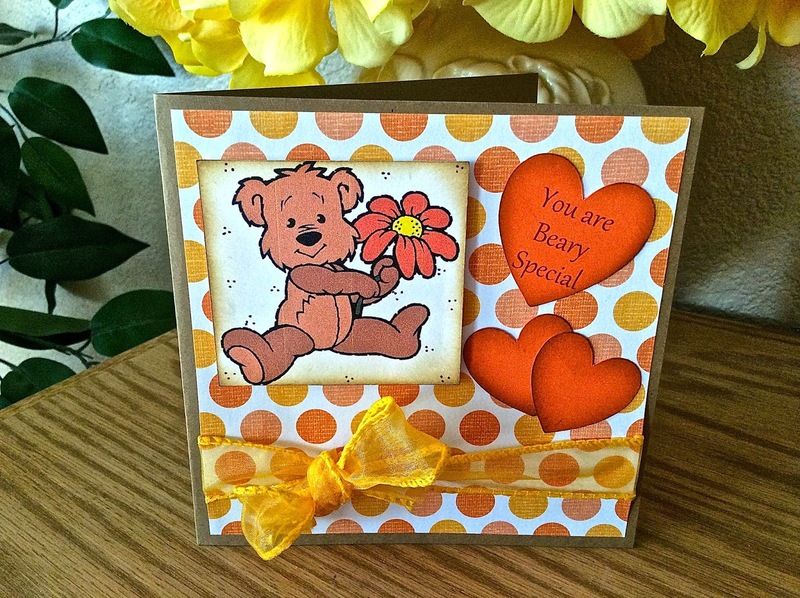 This card was designed for a special child named Violet. To learn how you can send a card to Violet, click HERE. Now it is time for you to head to The Scrapbooking Queen Royal Challenge and get all the details on how you can enter the challenge. I look forward to seeing what you create!! You have until June 29th to get your projects in. One winner will be chosen at random to receive a "Royal" prize package! Thank you for stopping by today. If you have kids who love to color, we are encouraging them to participate in this challenge!! Craft together! So much fun! Please consider following me so you can find your way back! Choose Joy! My inspriational canvas!